If you’re actually reading these posts in order, no you are not going crazy, yes I did do the November Review and the December Intro backwards. If you’re not reading them in order, and have no idea what I’m talking about, sure I did it the right way, why would you think otherwise? This issue also featured a very basic ribbed hat, in the Women who Make Cents column, and I intend to make one to match the Man’s Scarf in the December issue, as a set for Christmas. 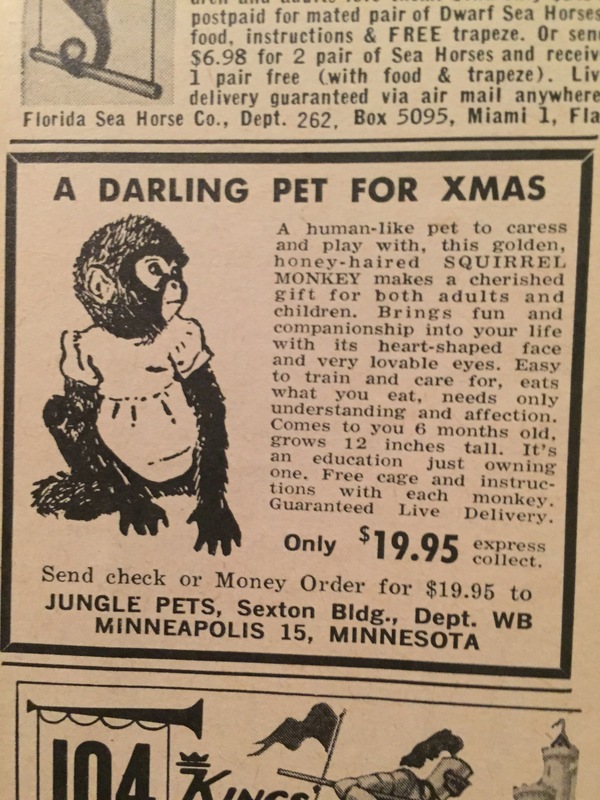 Anyone want a monkey for Christmas?? 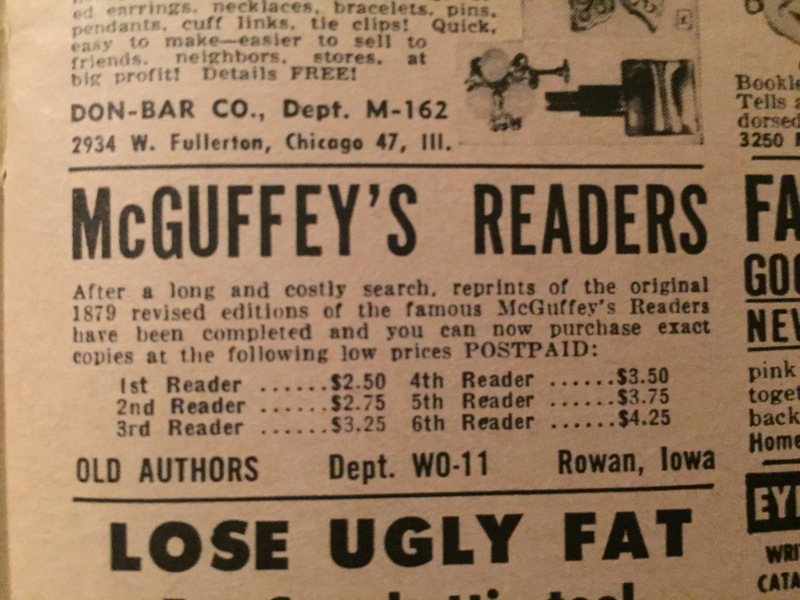 I would LOVE to hear if any readers out there ever had one of these! As a homeschooler I found this one interesting. 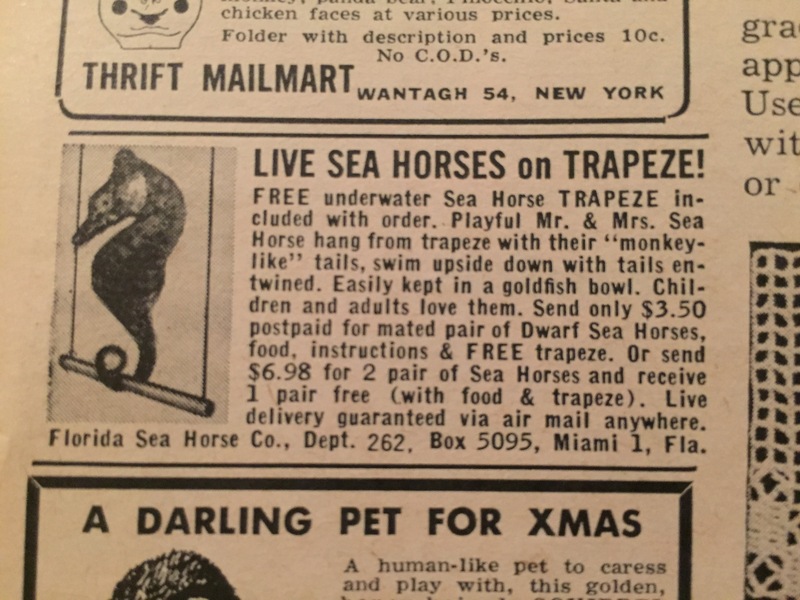 You can in fact still buy these, for around $8-10 each. And with that, let’s continue into December!